I recently review Walther Arms’ famous PPK and I was disappointed, to say the least. Nevertheless, I knew that this iconic pistol is just one cog in the incredible machine that is Walther Arms, so I had still had faith for the rest of their collection. The next firearm from the legendary German manufacturer that I could get my hands on was the underrated P22. While I know that many shooters don’t bother with .22 caliber rimfires, I have always loved shooting .22s; between my Ruger SR22, Browning Buck Mark, and Beretta M9 22LR, I fire thousands of .22 rounds a year. While I’d never opt to carry a .22, they make great target shooting and plinking guns for all ages and experiences. Plus, since they are so easy to shoot, they are reliable accuracy indicators. Now it’s time to finally determine whether or not the P22 lives up to the Walther name or if it’s just another failed attempt by a classic weapons producer. I could already tell at first glance that the P22 was not your run-of-the-mill Rimfire pistol. 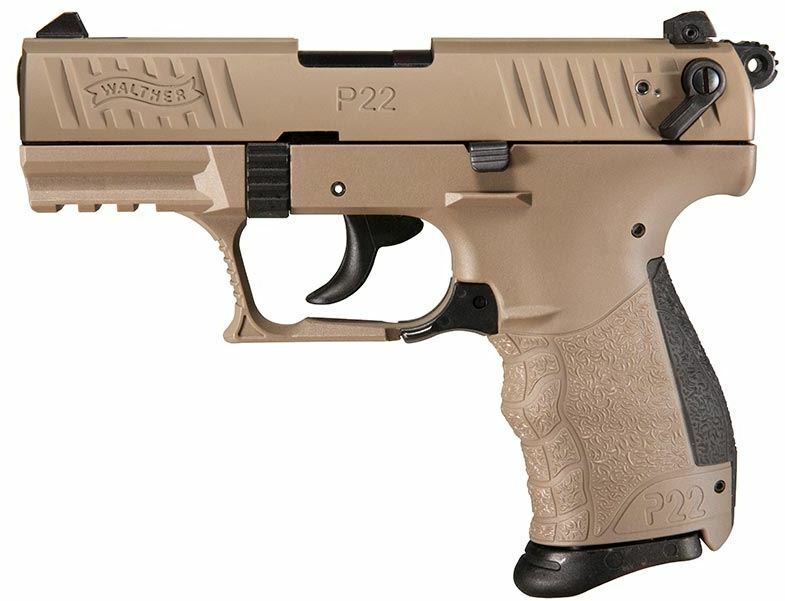 Walther developed the P22 in 2002 as a revolutionary low bore axis, modern handgun that ultimately became one of the first ergonomic polymer-framed .22 pistols. One of the first things I noticed about the P22 was its sight system, especially since the PPK’s was a major disappointment. These 3-dot polymer sights are the perfect complement to the already highly-modernized pistol. In addition to providing lightning-fast target acquisition, the PP22 low-profile sights are also windage adjustable. Overall, so many of the features on these Walthers are huge performance boosters and handling enhancers. For instance, after first picking up the P22, I couldn’t help but notice how comfortable the grips were. I initially assumed that these grips would be uncomfortable for my big hands, but I was surprised to feel that they are great for virtually any size hand, especially with the finger rest on the extended mag. To accomplish this impressive feat, Walther integrated a cross-directional grip surface that fits intuitively to the shooter’s hand. 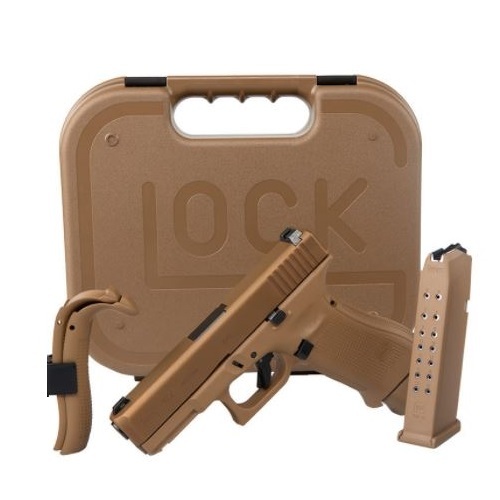 As an added bonus, they also incorporated interchangeable back straps to give P22 owners that custom-feel everyone wants. 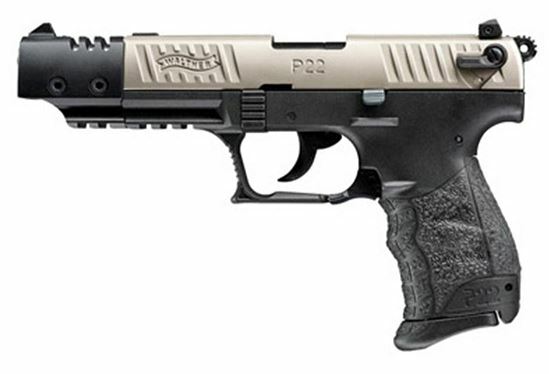 Moving upwards, the P22 features the increasingly-popular DA/SA trigger that is common for Walther handguns. Although I’m not a huge fan of single actions, it’s hard not to at least appreciate the 11 lb. DA trigger pull and 4 lb. SA pull. Furthermore, if you take a closer look at the trigger guard you’ll notice something unusual. Walther positioned the P22’s instinctive, ambidextrous mag release right where the trigger guard meets the grip for quick and easy operation. Going back to the top of the gun, the P22’s slide is loaded with premium components to ensure its top-grade Walther performance. Besides for throwing on a convenient Picatinny rail and loaded chamber viewport, Walther also incorporated a revolutionary external slide stop that locks back after emptying a magazine. 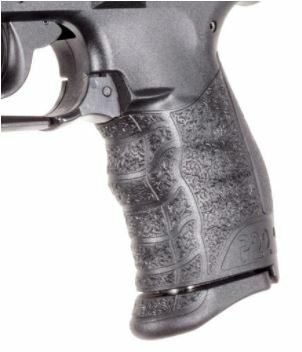 Nevertheless, don’t let these great features distract you from the P22’s superior slide serrations. In addition to its front and rear deep serrations, the P22’s slide is also equipped with the distinctive Walther styling and treated with a non-slip coating. In case you were worried, the German arms company did more than just this to boost durability; in fact, the P22 was basically constructed purely from MIM (metal injection molding) components. Lastly, in keeping with their commitment to firearm safety, the P22 is loaded with 3 safeties, including a firing pin block safety and ambidextrous drop safeties. Although less common than the standard model, Walther also manufactures a variant called the P22 Target. While still featuring all the same favorites as the original P22, the Target model only differs in length and thus weight. Surprisingly, Walther was able to hook up a 5” barrel, making the Target 1.5” longer, while still only adding 3 ounces of weight. The Walther P22 may resemble the enterprise’s legendary P9, but this .22 caliber compact pistol is in a league of its own. The innovative DA/SA semi-auto packs all of the favorite features common in today’s centerfire pistols into a revolutionary polymer Rimfire build. Without even acknowledging its impressive adaptability, the P22 is one of the most intuitive handguns on the market thanks to its comfortable feel and natural controls. Since the German arms producer manufactures these firearms in two models, with a variety of lengths and finishes, it’s easier than ever to find the right one for you. 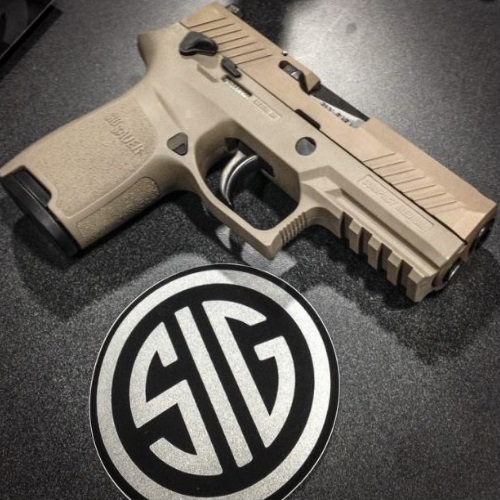 This variety affords P22 owners the ability to purchase the custom-feel pistol without having to pay an arm and a leg for it. Besides for its accessory rail and interchangeable backstraps, Walther fans also love the P22’s threaded barrels which enable quick suppressor attachment for those fortunate enough to own one. My biggest warning to potential P22-buyers is to steer clear from bargain bullets. Bear in mind that this sensitivity to ammunition is most detrimental when using low velocity, low pressured rounds. While the .22 will still perform with low-quality cartridges, don’t be surprised to see occasional feeding failures, stovepiping, and accuracy issues. That being said, the P22 is best when cleaned & lubed, loaded with reliable & heavy rounds, and from around 15-20 yards away. 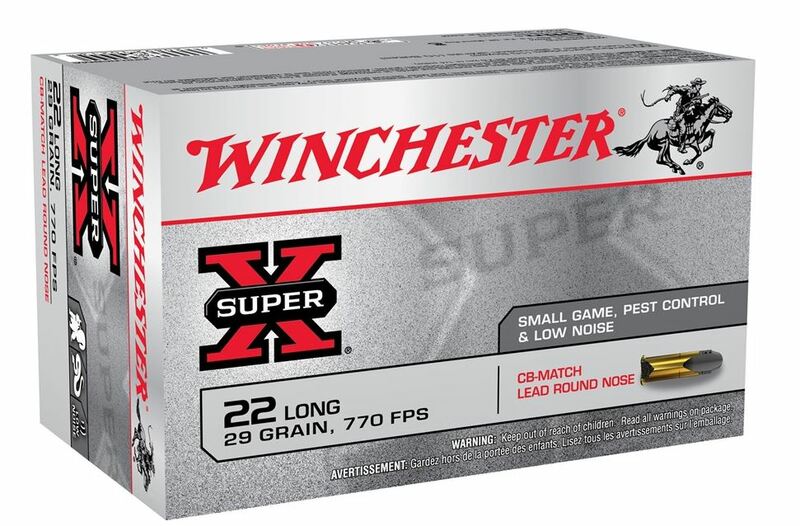 Although there are a lot of solid ammo to choose from, you can’t go wrong with Winchester Super-X or Federal Automatch Target Ammo, just remember to stay away from subsonics. After shooting about 100 rounds down range, I had no real complaints about the P22’s performance or accuracy. While it didn’t leave me with any extraordinary impressions, I still feel that it’s a better than average .22 with excellent ergonomics. As such, this is the kind of gun that’s good for target practice and short to mid-range plinking and not much else. They are also great as backup guns to keep in the car because they are simple, reliable, and can be field-stripped without tools in seconds. 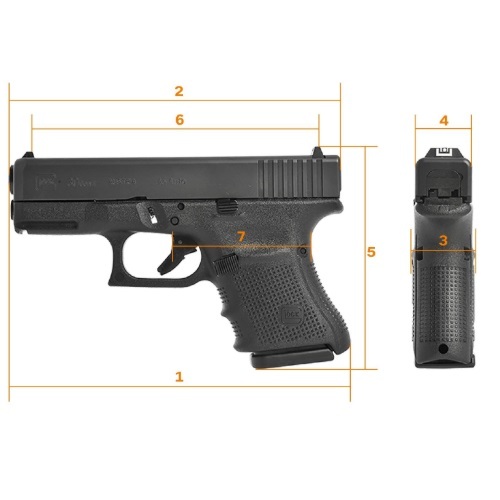 One of my favorite parts of Walther’s online shop is that they include a separate page of relevant accessories for each of their respective weapons. Starting with available holsters and culminating with grips and sights, Walther couldn’t have done a better job clarifying your aftermarket options. Although there are several great companies who produce holsters for the P22, such as Galco, Crossbreed, and DeSantis, I’ve recently become a huge fan of AlienGear and their great collection of adaptable and comfortable holsters. 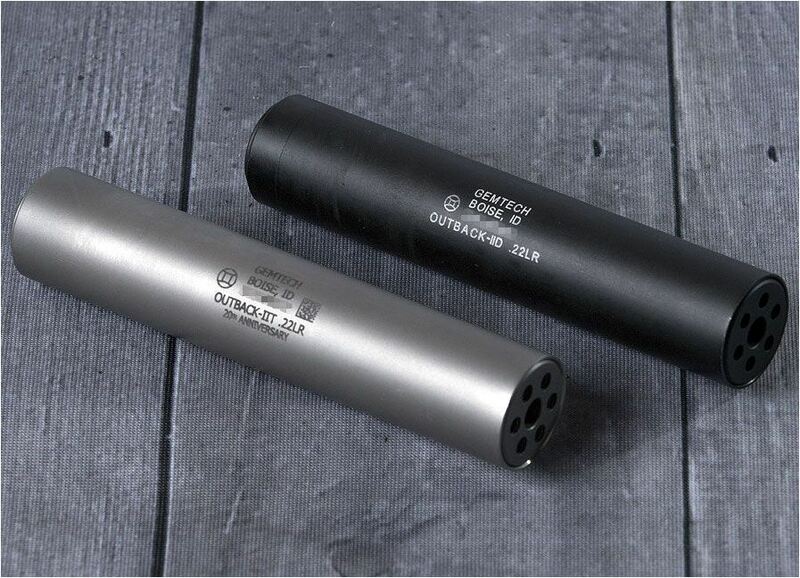 As an aside, if you’re fortunate enough to be able to get your hands on a suppressor, I highly recommend mounting the GEMTECH Outback IID to your P22. Just like with any great product, there will always be haters, and the P22 is not exempt from this rule. I’ve heard dozens of complaints about this Walther but I’ve yet to find any of them to be legitimate. I mean what’s not to love about the P22 – with some of the most intuitive controls and impressive ergonomics bundled in an affordable package with a lifetime warranty! After enjoying my time with the P22 I’m looking forward to reviewing even more Walther firearms – Stay tuned! "NEW AND IMPROVED" Walther P22! You may also like our Top Israeli Guns, Automatic Weapons Overview, Most Controversial Guns, & Top New Revolvers!